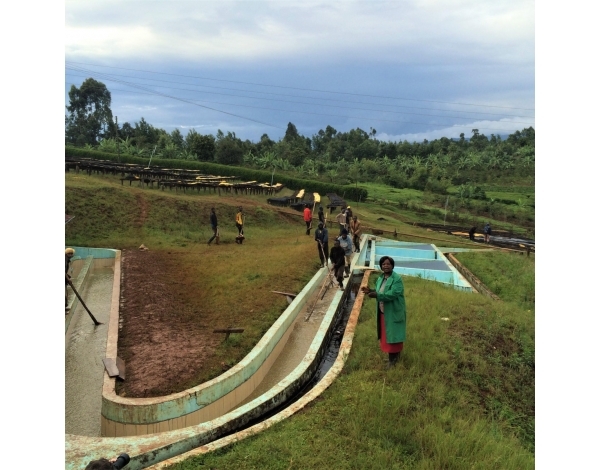 Kariru, situated adjacent to the Mount Kenya Forest reserve is comprised of 3000 smallholder farmers. The co-op’s primary objective is to promote the social and economic interests of its members, a mindset which is essential to properly reward the farmers for their dedication. The red volcanic soil typical of this region is abundant with beneficial minerals that brings this peaberry lot to life. 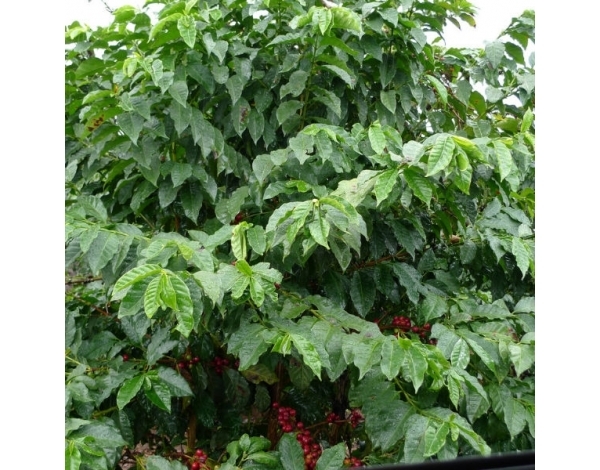 While most coffee cherries have two seeds, peaberrys only have one, in this case enhancing the cup quality. 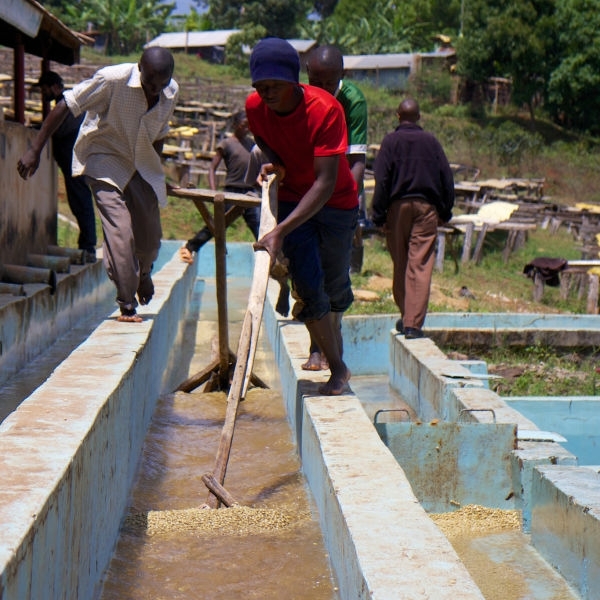 As with most Kenyans, the coffee is processed using a fully washed method. 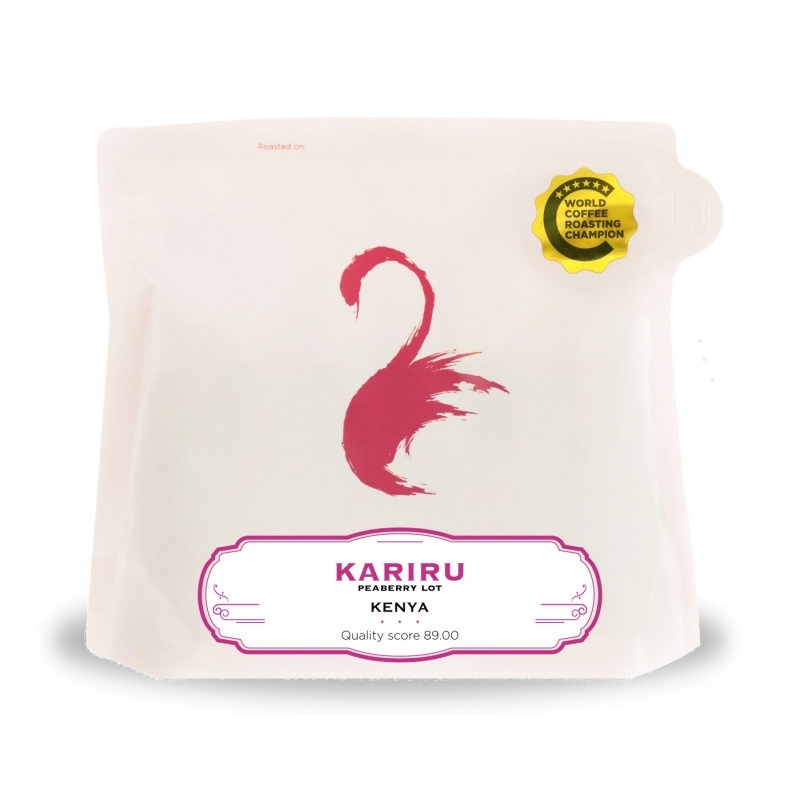 Through impeccable processing of this high grade lot, Kariru produces distinctive honeydew top notes, with apricot and blackcurrant complexity bringing up the finish. SL28 was bred by Scott Laboratories in 1931 from Tanganyika D.R, and has become very popular throughout Kenya and is recognised as a variety of exceptional cup quality. It has wide leaves with coppery tips. Beans are wide and productivity comparatively low. 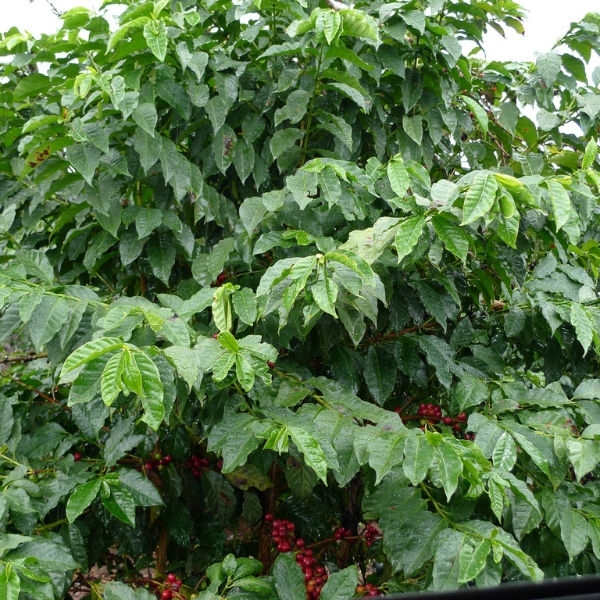 Though it is not substantiated that we can find, some sources claim that Scott Labs crossed mutations of French Mission, Mocha and Yemen Typica to produce the SL 28 variety. No matter the exact genetic composition, almost certainly their original goal was to create a plant with high quality, reasonable productivity and great drought resistance. SL 34 is a mutation of French Mission, originating from the plantation of Loresho in Kabete, SL 34 has wide leaves with bronzy tips. 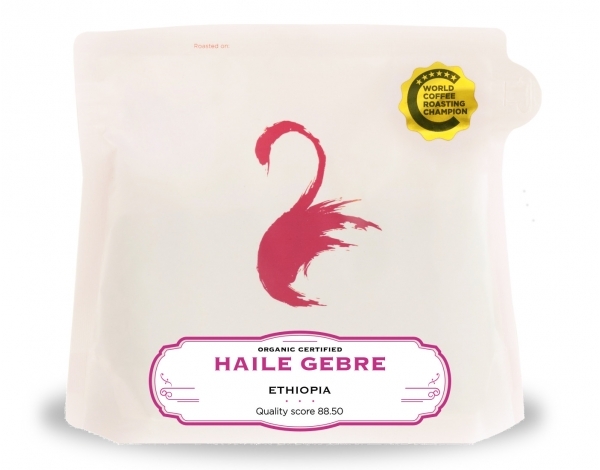 It is widely grown throughout Kenya. SL 34 is valued for its high productivity in different climate conditions and great height ranges. It is also claimed to be resistant towards draught and strong rainfall. 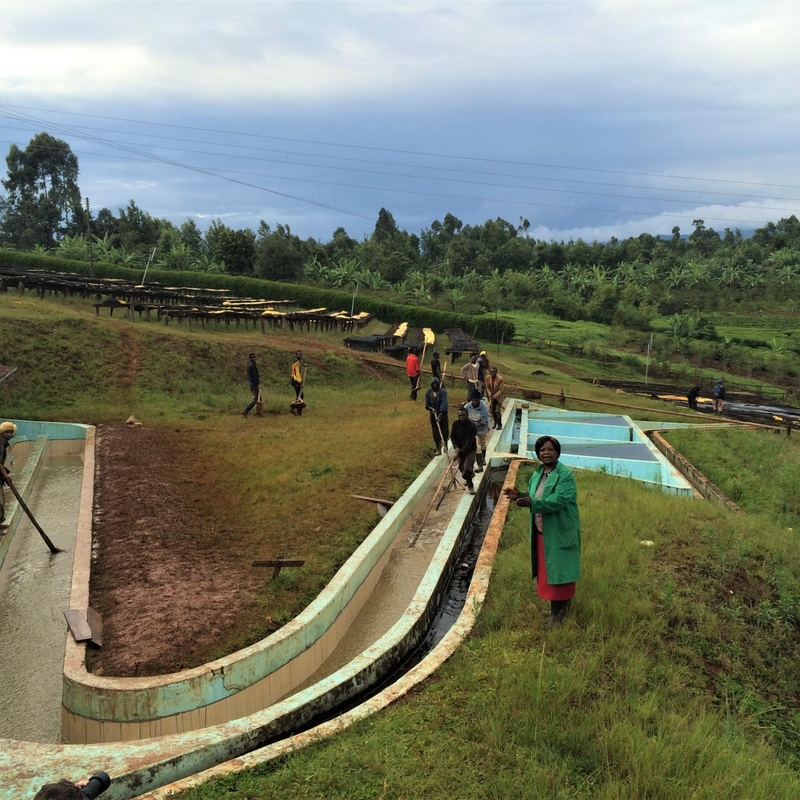 After harvesting the coffee is delivered to the factory and undergoes the wet processing method, water is pumped to the reservoir tanks for pulping and recirculation. 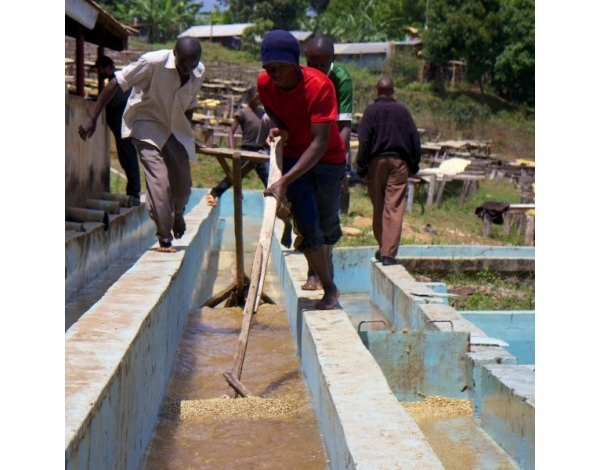 After pulping the coffee is stored overnight, washed, soaked and spread on the drying on tables. The parchment is then frequently turned on the drying tables, sorted and then stored whilst it awaits delivery to the millers.